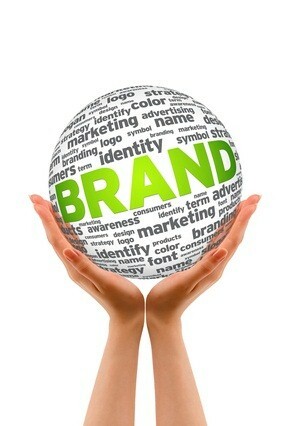 Building a memorable and effective brand image for your business will attract customers and increase chances of loyalty. People are aching to believe in a product or service. Unfortunately, the “us vs. them” attitude is a growing trend. The result? Consumers are wandering around in a figurative no-man’s-land looking for a trustworthy beacon of solutions to their conundrums. Far too many companies inadvertently end up getting lost in the shadows because they have a weak image and low visibility. They wonder why customers aren’t drawn to them. Ultimately, it doesn’t simply matter how wonderful your product or service is, if the image you portray doesn’t evoke the right message, your brand is toast. Set yourself up for success from the beginning of brand formation and be sure you’ve aligned all aspect of marketing. Streamline print collateral, website design, JangoSMTP transactional email campaigns and social media. Even when answering the phone, you should have your brand represented in a positive voice. Use the guidelines below as a skeletal frame of reference to help build your brand into the empire you always dreamt it could be. Brands have to be able to evolve while maintaining familiarity. Logos go stale, just like any trend. Would you trust someone clad head-to-toe Michael Dukakis propaganda to give you an accurate 2012 political synopsis? Hershey’s chocolates understands the importance of setting up a brand to evolve. That’s why Hershey’s teamed up with The Academy of Arts University to help re-boot their Valentine’s Day chocolate heart boxes. Recruiting the young up-and-comers who have experience in graphic design is the perfect way to vamp up a classic. Apply this to your brand by recruiting your design-savvy friends to create a logo that is right for your business. A strong logo maintains its integrity in any situation, just like any good leader. You should make your brand look great in color and black and white. When you choose a font, make sure it flows with the logo, if you want a striking bold font, keep the letters close together referred to as tight kerning by graphic designers. If you want a sleek, elegant look, select a thin, sleek font, perhaps with serif letters that end in strokes or tails. A strong congruency with the font and logo is essential for conveying strength and vivacity. Stupid is as stupid does. The same goes for intelligence, success and appeal. When you are formulating the copy for your mission statement and your about us section, think about how your branding can reflect every aspect of your modus-operandi (method of operation). How does your imagery reflect your goals? Is your output clear and concise? Do you maintain consistency in all aspects of your branding strategy? If any of these things are mismatched, then there’s a good chance your brand logo and purpose will end up looking like a mismatched mess. Penelope Harper is a freelance writer and graphic design artist. She offers her readers tips on how to make their sites fresh, easy to navigate and optimized.